This Data Protection Statement was last updated in May 2018 to reflect changes in data protection laws, specifically the GDPR . It sets out the data protection practices carried out through the use of the Internet and any other electronic communications networks byData Business Services GmbH & Co KG and its associated companies (all together “COMPANY”). COMPANY collects personal information from you through the use of registration forms, for instance every time you sign up for an electronic newsletter, when you send us an application to be considered for employment, when you register for an event, when you submit a request for proposal or for information, when you request the authorization of downloading a document, when you enter an online competition or when you send us a message via an email reply mechanism provided on the COMPANY sites. • Providing you with information about products and services. When you visit one of the COMPANY sites, we collect information automatically about those visits. In particular, your browser automatically sends us certain Internet-related information, such as the Internet Protocol (IP) address of the computer you are using. Only technical cookies are used which do not store tracking or retrievable information or any type of personal data. wfwaf-authcookie-(hash) This cookie is used by the Wordfence firewall to perform a capability check of the current user before WordPress has been loaded. We will only disclose personal information to other companies within our group of companies, business partners, government bodies and law enforcement agencies, successors in title to our business and suppliers we engage to process data on our behalf. In these circumstances we will share your personal information for purposes such as our legitimate business purposes and to comply with legal obligations. This Data Protection Statement applies only to information collected by a COMPANY site. For further information an the all data protection policies of COMPANY please contact the DPO. COMPANY sites contain links to other sites that are not owned or administered by COMPANY. Please be aware that COMPANY is not responsible for the privacy practices of such other third party sites. We encourage you to read the privacy statements of every Web site you visit. We maintain safeguards to protect against unauthorized disclosure, use, alteration, or destruction of the personal information you provide to us through the COMPANY sites. Please note, however, that perfect security does not exist on the Internet. Therefore, while we endeavour to protect your personal data, when data is transferred over the Internet it may potentially be accessed and used by unauthorised parties. We want to make sure that any information we hold on you is up to date and correct. If you have any requests concerning your personal information COMPANY holds about you , to obtain a copy or any queries with regard to these practices please contact us at the contact the DPO as listed the beginning of this document. Given that the Internet is a global environment, using the Internet to collect and process personal data necessarily involves the transmission of data on an international basis. Therefore, by browsing the COMPANY sites and communicating electronically with us, you acknowledge our processing of personal data in this way. However, we will endeavour to protect all personal information collected through the COMPANY sites in accordance with strict data protection standards. We reserve the right to amend this Statement at any time without advance notice in order to address future developments of COMPANY, the Website or changes in industry or legal trends. We will post the revised Statement on the Website or announce the change on the home page of the Website. You can determine when the Statement was revised by referring to the “Last Updated” date on the top of this Statement. Any changes will become effective upon the posting of the revised Statement on the Website. By continuing to use the Website following such changes, you will be deemed to have agreed to such changes. If you do not agree with the terms of this Statement, in whole or part, you can choose to not continue to use the Website. Your personal data will be secured by taking all technical and organizational security measures so that they are inaccessible to unauthorized third parties. When sending very sensitive data or information, it is recommended to use the mailing route, as a complete data security can not be guaranteed by e-mail. 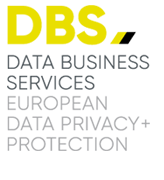 The personal data provided by you is stored for the duration of the use of the website or in the event of the provision of information or services until the expiry of the legal storage period and to the permitted extent, taking the basic principles of the EU-GDPR and the German Federal Data Protection Act (BDSG) into account. With reCAPTCHA we want to check if the data entry on our websites (for example in a contact form) is done by a human or by an automated program. For this, reCAPTCHA analyzes the behavior of the website visitor based on various characteristics. This analysis begins automatically as soon as the website visitor enters the website. For analysis, reCAPTCHA evaluates various information (for example, the IP address, the time a visitor spent on the website or mouse movements made by the user). The data collected during the analysis will be forwarded to Google. Data processing takes place on the basis of Art. 6 para. 1 lit. f EU-GDPR. The website operator has a legitimate interest in protecting its websites from abusive automated spying and SPAM. This site uses so-called web fonts, provided by Google, for the uniform representation of fonts. When you view a page, your browser loads the required web fonts into your browser cache to display texts and fonts correctly. To do this, the browser you use must connect to Google’s servers. As a result, Google learns that our website has been accessed via your IP address. The use of Google Web Fonts is in the interest of a consistent and attractive presentation of our online services. This constitutes a legitimate interest within the meaning of Art. 6 para. 1 lit. f EU-GDPR. This site uses the mapping service Google Maps via an API. Provider is Google Inc., 1600 Amphitheater Parkway, Mountain View, CA 94043, USA. To use the features of Google Maps it is necessary to store your IP address. This information is usually transmitted to and stored by Google on servers in the United States. The provider of this site has no influence on this data transfer. The use of Google Maps is in the interest of an attractive presentation of our online offers and an easy traceability of the places we have indicated on the website. This constitutes a legitimate interest within the meaning of Art. 6 para. 1 lit. f EU-GDPR.